We're a small group of friends who work together each year to put on a 10k road race which has become a staple of the Derby running scene attracting over 500 entries every year. 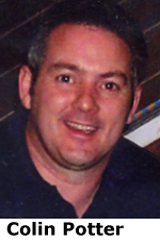 On 18th January 2006, we lost a close colleague and friend, Colin Potter, to an aggressive cancer. We were left saddened and with a passion to do something in his memory and to help fight this horrible disease. Out of this loss, the Colin Potter 10k was born! Originally designed as a "one-off" event, it proved to be a success and now is a constant on the Derby running scene. Across all of our races we have now raised and donated over £30,000 to cancer and bereavement charities. This is not for profit set up and all proceeds are passed on to the charities. We owe a lot to our runners and fund-raisers for this tremendous effort year-on-year.